I have to say this looks incredibly bad for Donald Trump Jr., Jared Kushner and by extension, President Trump. Donald Trump Jr. had a meeting with a Russian lawyer last year during the election cycle. Previously, when he had been asked if he had met with anyone from Russia, he said no. When it was obvious the media had gotten a hold of this, he came out and said the meeting was over a Russian adoption situation. Eventually, he admitted that he met with this woman to get damaging information on Hillary Clinton. Also in that meeting was Jared Kushner and Paul Manafort. Publicist Rob Goldstone, who is a big fan of Russia and a close friend of Vladimir Putin, set up the meeting. It is beginning to look like the Russian government was offering dirt on Hillary Clinton. Taking such information from a hostile foreign nation is illegal I believe. Donald Trump Jr. tweeted on this yesterday and today, and in a jaw-dropping move that I simply cannot believe ANY attorney would ever sanction, he released the email chain between himself and this Russian attorney. That may throw a wrench in this presidency and it was a flagrantly dumb thing to do. 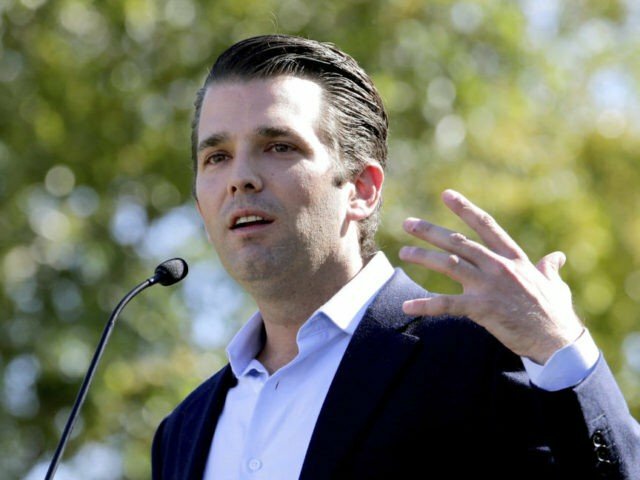 Donald Trump, Jr. released the chain of emails Tuesday morning that was apparently referred to in reports by the New York Times in which a publicist offered to set up a meeting between Trump, Jr. and a Russian lawyer who offered to provide damaging information on Hillary Clinton. From the beginning, I have said that Paul Manafort, Carter Page and Michael Flynn all took money from the Russians and if they aren’t compromised, they could easily be. I believe all of them are. But I did not put that on President Trump. Manafort and Flynn were fired and Page was dumped. I saw no evidence of collusion… until possibly now. We will know more as evidence surfaces on this. This is very, very serious and to say that Donald Trump Jr. and Kushner are in trouble is the understatement of the century. Right now, Trump Jr. is claiming this does not show any cooperation, coordination or collusion between the Trump campaign and the Russian government. If that attorney is connected to the Kremlin, that argument will fall apart and fast. The New York Times was the one that put forth the existence of the email on Monday evening. They had not seen it, did not have it in their possession, had not verified the email and were going by second-hand sources once again. Only three people had knowledge of the email, presumably from the intelligence community or from one of the intelligence committees in Congress. This morning that changed: “The Times now has the email to Donald Trump Jr. offering Russian aid to ‘incriminate Hillary’,” after Donald Trump, Jr. had made the email available to the general public. Donald Trump, Jr. issued a statement with the string of emails in which he stated that he thought the lawyer had “Political Opposition Research” on Clinton and that the meeting had taken place “before the current Russian fever was in vogue.” He reiterated that the lawyer “had no information to provide and wanted to talk about adoption policy and the Magnitsky Act.” He did not comment on the publicist’s statement that the information was “part of Russia and its government’s support for Mr. Trump.” I get the feeling this is going to be a very long week – I’m withholding judgement until I see more evidence… at least for now.